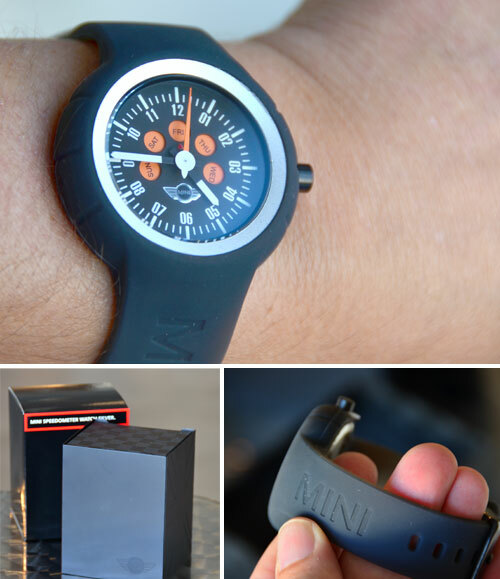 Synopsis: This sleek watch direct from MINI is casual enough for everyday wear. This is one of the more casual watches from MINIs line of lifestyle goods and is likely one of the more comfortable to wear as well. Soft, flexible contour band has a nice MINI logo embossed which has a nice modern feel. Includes a nice metal watch case with union jack motif on one side as well as a official MINI gift box to keep it all together.